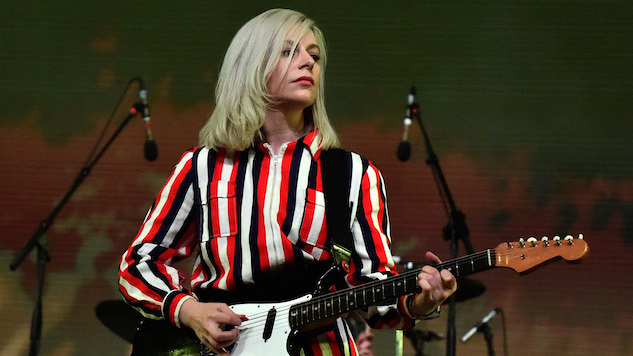 Alvvays frontwoman Molly Rankin is sick and tired of groping at concerts, and on Thursday, she posted a “begrudged public service announcement for concertgoers” on the band’s Instagram. Rankin, unfortunately, is no stranger to creepy men stage-invading at Alvvays’ shows. Last September, a man got onstage and tried to kiss her in the middle of a show in Belgium. Hollywood has experienced a reckoning in wake of the #MeToo movement, but people have been wondering when it will be the music industry’s turn. While stories like Kesha and Dr. Luke have been much more publicized, issues like these still get pushed to the side and somehow become normalized. Whether it’s female musicians being sexualized by male journalists, being asked what it’s like to be a woman in a band, or female musicians and fans being sexually harassed and assaulted on stage and in the crowds at shows, this is, disgustingly, what comes with being a woman in music in 2018.